Father & Son Painting has been painting in Northern Colorado for more than 30 years. 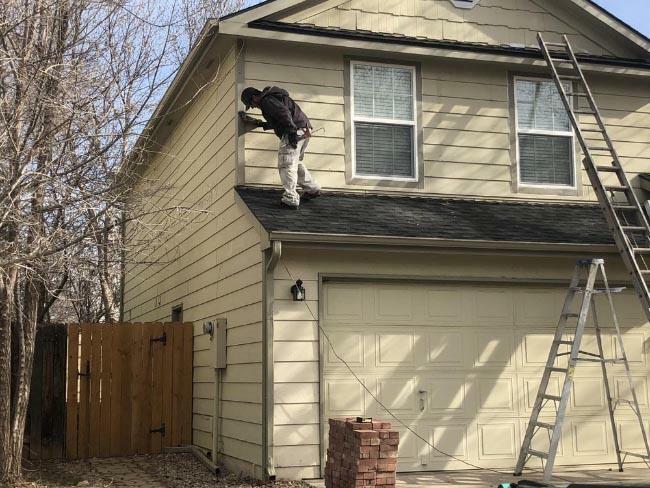 We are proud to be one of the most experienced local painting companies in all of Northern Colorado, with thousands of homes and buildings painted over the years. We call this place home, so we take the same care and respect to each and every house that we paint as if it were our own – because in a way, it is! Our company was started over 30 years ago with only one goal in mind: provide the best possible painting service to each and every one of our customers. As a painting contractor, we know it’s important to always understand the needs of the customer, and build a reputation on trust and quality work. This is how we’ve been able to stick around for so long, through our personal connection with each and every customer and of course exceptional painting work! When you contact us about your painting project, you’re not just contacting any old painting contractor. Father & Son Painting prides ourselves on the personal relationships we’ve formed in Northern Colorado throughout the years, and we will talk with you to make sure you get exactly what you want, how you want it. When we schedule a consultation, our painting experts will go through your options and can make suggestions to improve your overall experience while probably saving you a few bucks as well. Maybe you’ve done your research already? That’s okay! We will work with your vision of what you want and will never try to sell you on things you don’t need. This is about you, your home, and your vision. Contact us to schedule a consultation. We will set up a time to meet with you to go over everything that you want, and understand the scope of the painting project. Provide an estimate. We will give you a fair and accurate estimate for your painting project, and make sure you understand all of your options and costs. Get to painting! Our professional crew will come out and work tirelessly to make sure that your project is completed as quickly as possible. We won’t rest until you are 100% satisfied with the results. Call us today at (970) 225-0968 to learn the difference that a local painter can make! We guarantee that you will be happy with the results.